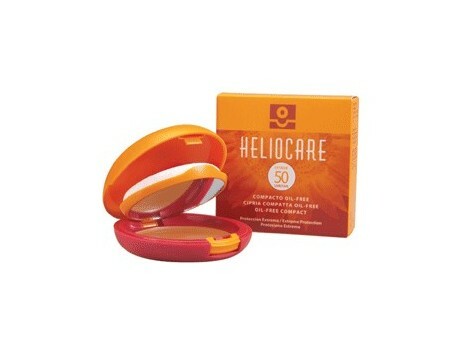 Heliocare Compact Colored Light SPF50 10gr. Makeup fotoinmunoprotector daily extreme protection against UVB / UVA, soft texture easy to apply cream powder, which instantly takes the appearance and a satiny powder finish, giving color to the skin. It is waterproof and does not leave unsightly white marks. Non-comedogenic. Specific for normal and / or dry skin. With the widest range of colors, evens skin tone, hiding imperfections. Directions: Daily prevention of skin photoaging. Prevention of melasma. Pospeeling photoresist chemical, posláser. Recent scars. Effect for hiding unsightly stains. Remarks: external use. Avoid contact with eyes and mucous membranes. Keep out of reach of children. 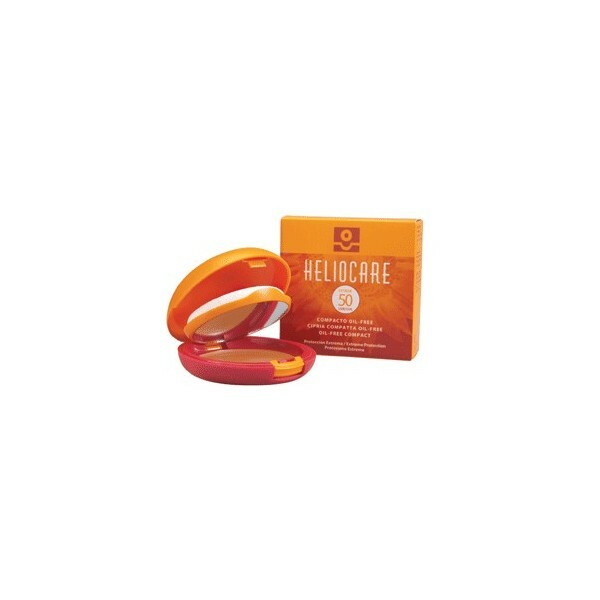 How to use: apply evenly on the skin with the help of the sponge before each sun exposure. Reapply frequently after prolonged sun exposure or bathrooms. Presentation: 10 g powder compact with sponge. Ingredients: Petrolatum. Zinc oxide. Octyldodecanol. Squalane. Diethylhexyl adipate. Titanium dioxide. Paraffin. CI 77891. CI 77492. Silica. Talc. Alumina. CI 77491. CI 77499. Simethicone. Camellia sinensis. BHT. Parfum. Ethylparaben. Polypodium leucotomos. Dimethicone.